I, Dianne McKenzie, am passionate about real estate development. I consider myself a “Dream Maker”, and strive to help my clients manifest their dreams and lifestyle goals. I believe that: “…the dreams which accompany all human actions should be nurtured by the places in which people live and work”. To promote this possibility, I encourages my clients to develop and share their dreams and lifestyle goals as part of the process of selling, buying or investing in property. I have over thirty years of business experience as an executive producer, web architect, social media marketer, business developer, architecture assistant, real estate marketing developer & real estate consultant. I am a licensed real estate qualifying broker for Kachina Mountain Realty & an accredited ACRE® real estate consultant. Often a real estate transaction is relatively simple & smooth sailing, & at other times it can become rather complicated, particularly in today’s market. I have the experience, skills & technology to process your transaction from start to finish. What I do for my clients is invest my time consulting, marketing, negotiating, and overseeing the details of their transaction so they will have a superb experience that causes them to want to introduce me to the people they care about most. The purpose of my business is referral, which means I must bring my clients so much value that they feel comfortable introducing me to the people they know who need my help. After all, a referral is sending someone they care about to someone they respect & trust. 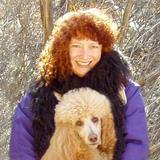 I live & work in Santa Fe & Taos County with my husband John Halley & standard poodle & service dog, Aeowyn. Contact me, Dianne McKenzie for your real estate transactions & let me help you manifest your dreams today! I am readily available by cell phone, text, & email. I return calls promptly, seven days a week! Call me for a consultation today. Specializing in real estate properties for Buyers & Sellers on Santa Fe’s prestigious northwest side & in Taos County! Slogan Promote. Negotiate. Sell. Move on.Dream. Evaluate. Buy. Move in.Plan. Develop. Invest. Move up. I confirm that I worked with Dianne McKenzie in the buying or selling of this property.